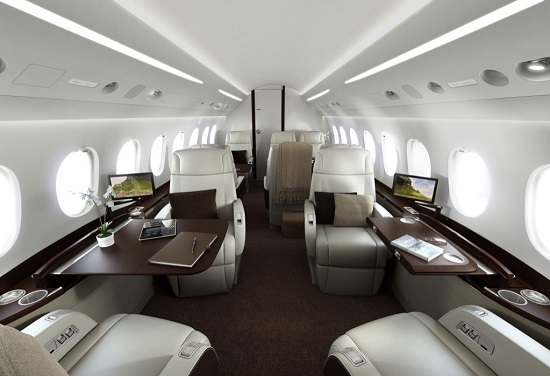 The 2000S is the 'entry level' Falcon business jet, with a wide cabin and range of around 3,500 nautical miles. 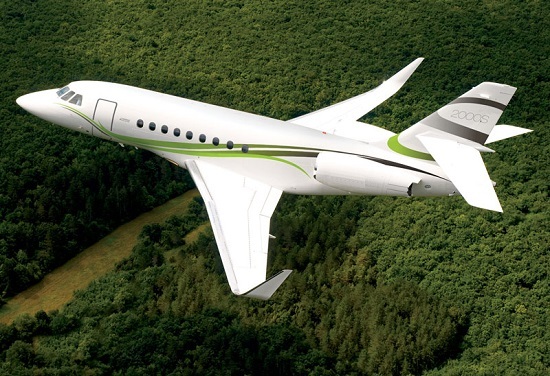 Built in France by Dassault Aviation, the 2000S was introduced in 2011, and is one of the highest-performing aircraft in its class. It will climb direct to 41,000 feet in just 19 minutes and is able to land at 95% of its maximum take-off weight. The cabin typically seats 10 passengers and is designed by Designworks, USA. INTERESTING FACT: The advanced Pratt & Whitney 308C engines on the 2000S produce 20% fewer NOx emissions than the previous generation engines.